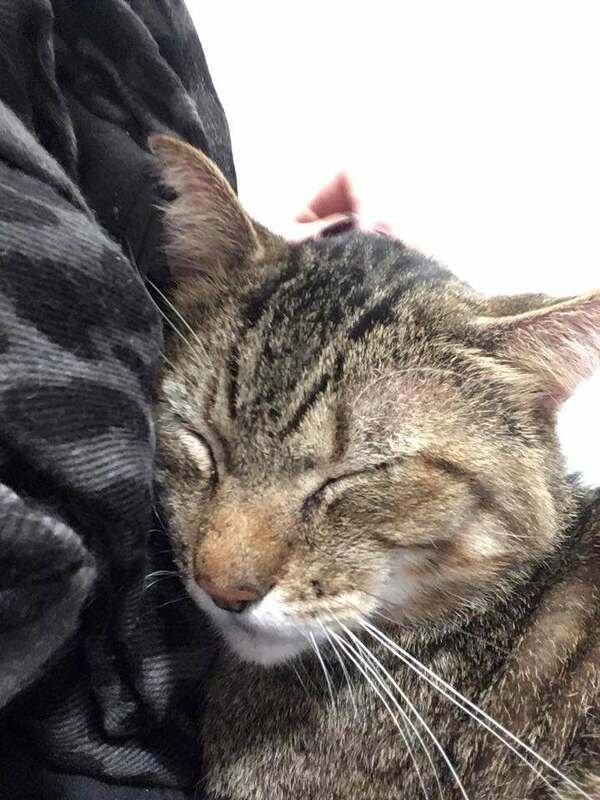 Andy Brumagen and his fiancé Jessica Parken recently helped a snuggly, sweet-hearted kitty find a brand-new, loving home. The couple had been out and about when they decided to pop by the local pet shop to see the animals. There were fishies, and birdies, and doggies too. But as cat lovers, it was the kitties that caught their eye. 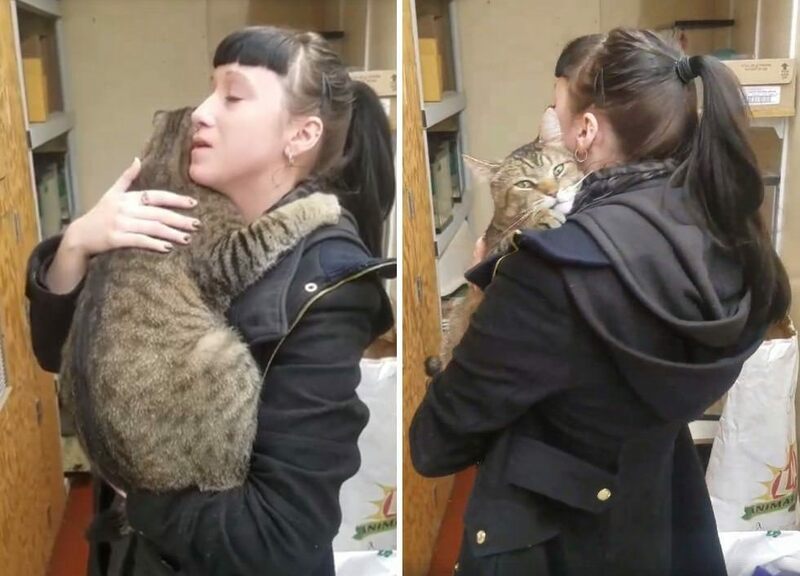 As they prepared to leave the pet store, Jessica picked up a giant, tabby colored cat to give him a hug goodbye— but this lovey guy just didn’t want to let go. 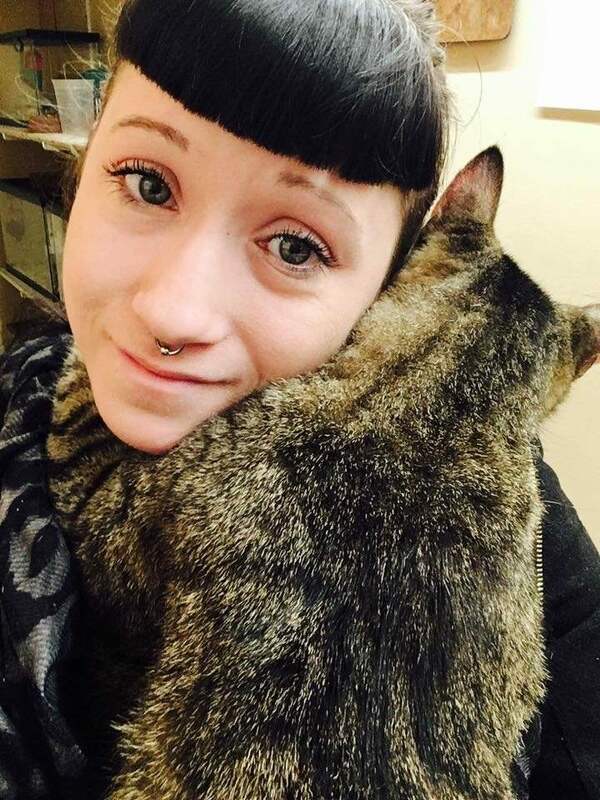 As soon as Jessica removed him from his kitty condo, he wrapped his arms around her and snuggled his face into her shoulder. The sweet tabby clutched on to her tightly, rubbing his face on her shoulder as she lightly stroked his back. “He’s been there for two weeks because apparently, he isn’t good with other animals or kids. I wanted him so bad and I wanted to name him ‘Clutch’,” Jessica wrote. Although it was hard for the couple to leave Clutch behind, they knew they wouldn’t be able to bring him home. 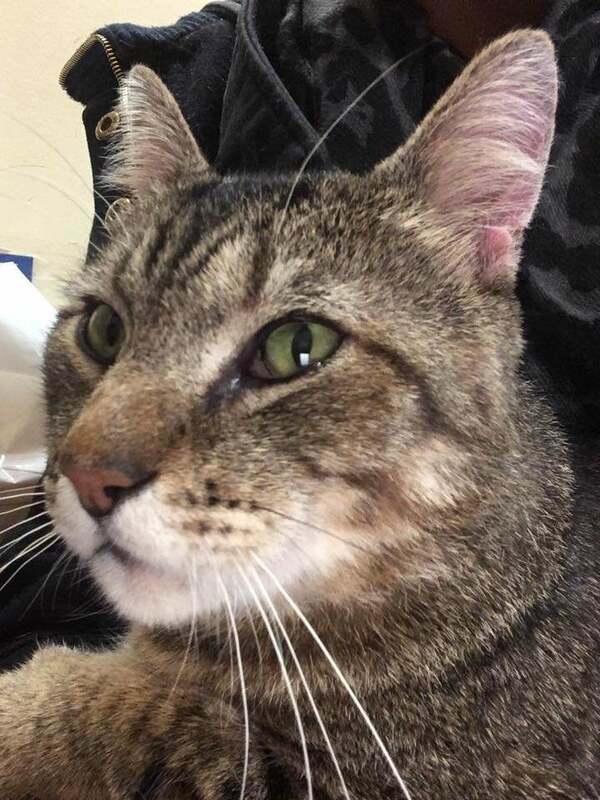 They already had a 19-year-old cat that requires a lot of love and attention. Not to mention, they also have a toddler, whereas Clutch prefers a child-free abode. Instead, they decided to find him a family. 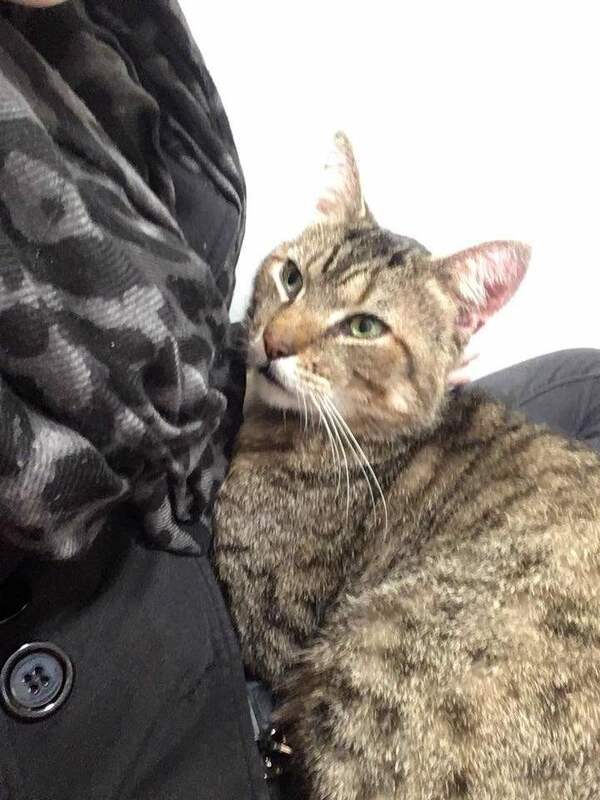 The couple posted the video of Clutch’s neverending hug to Facebook pages, hoping it may inspire someone to adopt him. As you may have guessed, the locals immediately fell in love. When Jessica went back to visit her favorite boy, she was happy to see that the pet shop was packed. On January 24th, this little snug was officially adopted! And we know he’ll be smothering his new family with hugs galore.